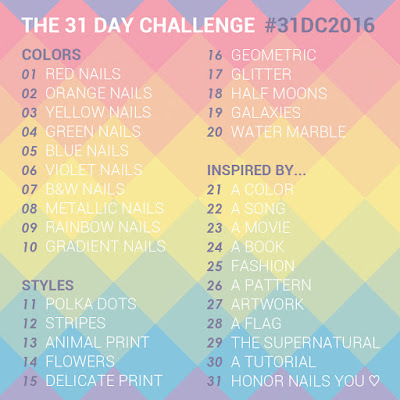 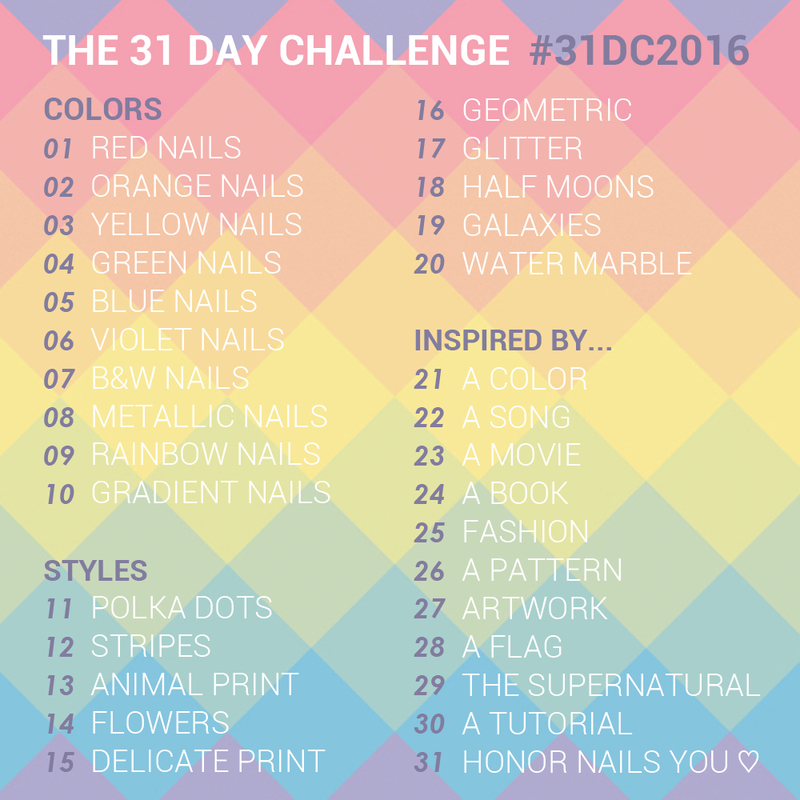 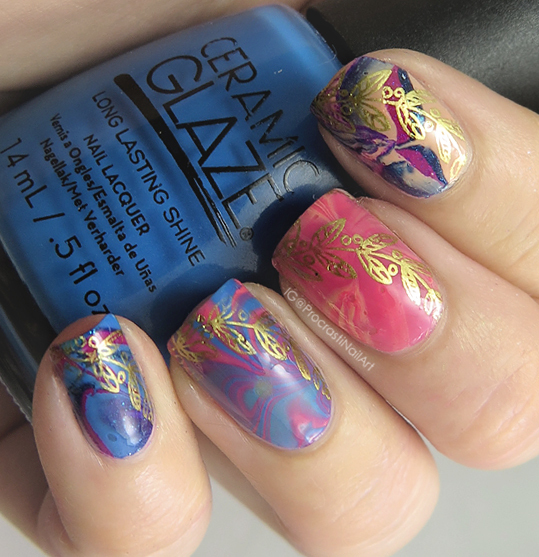 My marbling was done with a whole bunch of Ceramic Glaze shades and my stamping was with Mundo de Unas Gold and a plate from Nicole Diary. 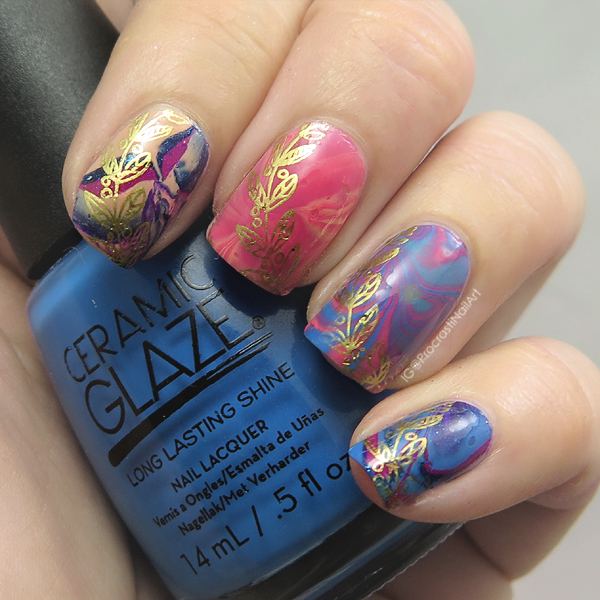 The flashes of gold on this watermarble take it to the next level! 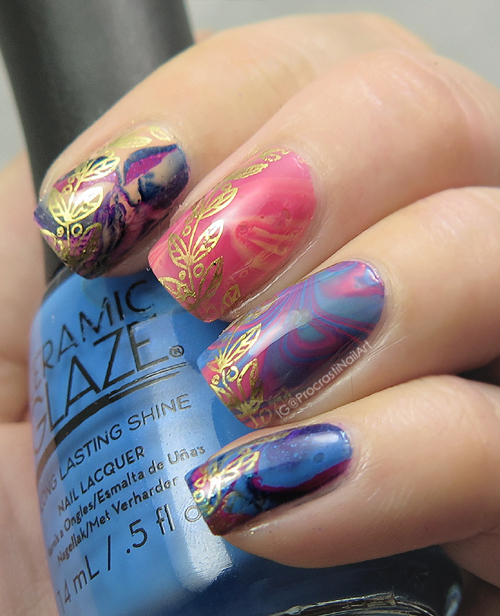 Very pretty water marble love the stamping over it.